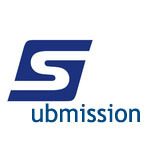 The journal receives submitted manuscripts via email only. Please submit your research paper in .doc or.pdf format to the submission email: sub@ijamp.org. For now, the journal doesn’t have any impact factor yet, since it’s not indexed by SCI or Scopus. But the journal will be put forward to all relevant abstracting and indexing services, like EI (INSPEC, IET), DOAJ, Ulrich's Periodicals Directory, Google Scholar, EBSCO etc. We aim to publish work of sufficient merit so that each journal will be indexed by ISI Web of Science and therefore become eligible for an Impact Factor in due course. IJAMP charges nominal publication fee to offset expenses associated with the overall journal operations, publishing and printing, mailing and shipping, website maintenance. Each accepted paper will be charged from 200 to 300 USD for publishing. 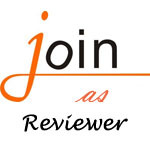 Discounts are given to students and journal reviewers. In order to get a hard copy, you should order a journal subscription. A hard copy will be obtained upon the payment of 80 USD, including free delivery. Please send the Order Form to us at info@ijamp.org. To use material printed in publications from the journal, please contact us to get permission at info@ijamp.org. Please submit the full paper via email above.